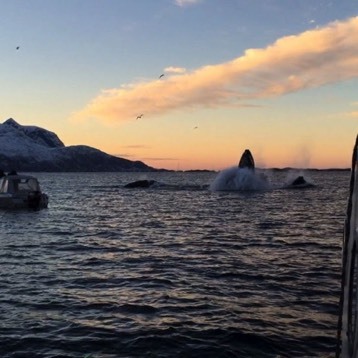 Go whale watching in Tromsø! Here’s the deal: We take you by car right from the doorstep of our Fisherman’s home or Writer’s home (depending on where you’re staying – and if you’re staying elsewhere we’ll pick you up wherever that is too). 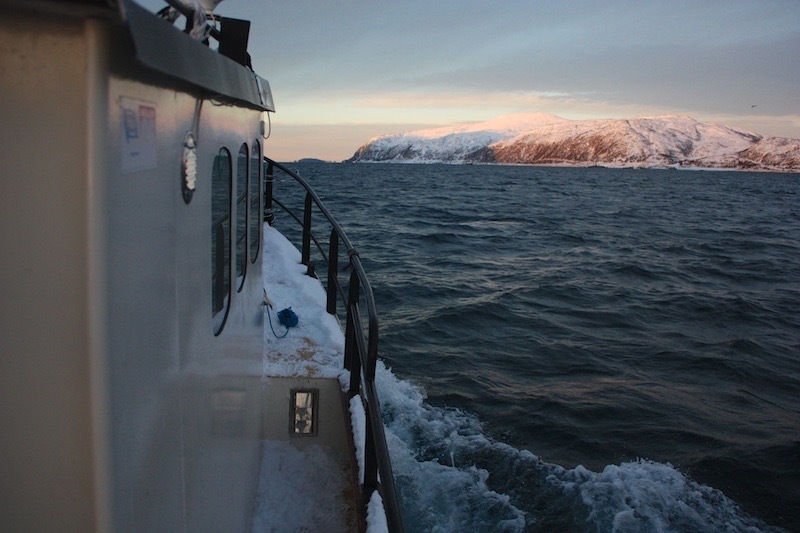 After a 20 minute drive we arrive at the boat out in Kaldford – the 30 feet “Inna” that will take us out really close to the whales. Your captain and guide will be Arnt, who will steer the boat safely and tell you everything you want to know about the sea, the life of the fish and how the whales hunt. Having grown up in a fisherman’s family just after the second world war, Arnt learnt early on pretty much everything there is to know about the ways of the cod and the currents and the krill and the seas, and he has more than 20 years experience of taking people out fishing – guiding, teaching and telling stories along the way. How to book: Call Arnt directly at +47 913 02 441, drop him an obscureboatemail, or – if you’re staying with us – let us know and we’ll help you sort everything out.